One of my fave producers last year… Stimming from Hamburg, has a new album coming out in March on the Diynamic label… Reflections. And even more exciting news, he’s coming to Australia, and playing Sydney in late April! Awesome! Hamburg-based producer Martin Stimming makes his LP his debut on the ever consistent Diynamic imprint this Spring with ‘Reflections’, an album based around specific stories expressed through 11 brand new tracks. Like Diynamic itself, Stimming has had a massive impact on house music in just a few years via releases for Liebe*Details, Freerange, Buzzin Fly as well as Diynamic, and the quality of ‘Reflections’ sums up why the impact has been so swift. As with previous material, Stimming imbibes ‘Reflections’ with a thoroughly modern house feeling laced with jazz and real depth of both emotion and sound via a mix of field recordings, live instrumentation and electronic wizardry. 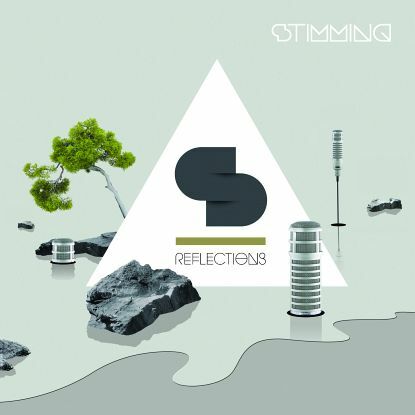 Shock, contrast and fresh outlooks are abound on ‘Reflections’, where Stimming uses tracks such as opener ‘Sunday Morning’ to lull the listener into a groove before hitting them with epic, almost orchestral slaps. Tried and tested house music influences are given new, skewed interpretations on cuts such as the drunken dub of ‘Song for Isabelle’ and Eastern-European folk-house of ‘Silver Surfer’ while even more straightforward house templates in ‘After Eight’ and ‘One Weekend’ still sound totally unique and refreshing. Those seeking Stimming anthems which have thus far propelled the artists career won’t be disappointed either as there’s plenty. Whether it be the Detroit-y ‘The Beauty’ or the lush melodic closer ‘The Kiss’, dancefloors will surely buckle. A true journey, ‘Reflections’ ebbs and flows wonderfully with jaw-dropping production allowing Stimming to create some outstanding fusions of styles and moods.